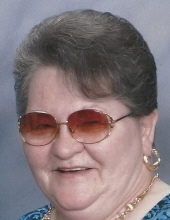 PHILLIPS, Ann Josephine - Age 74, of Burton, died Saturday March 23, 2019. Funeral services will be held 2PM Wednesday, March 27 at Sharp Funeral Home and Cremation Center, 6063 Fenton Road, Flint. Reverend Doctor Tommy McDoniel officiating. Visitation will be held 10AM until time of service on Wednesday. In lieu of flowers those desiring may make contributions to Asbury Church or the charity of ones choice. Ann was born February 22, 1945 in Sterling, IL the daughter of Joseph John and Amelia Elizabeth (Droste) Schauff. She married Francis "Phil" S. Phillips on March 21, 1964 in Flint. Ann enjoyed sewing, cooking, crafting and volunteering locally in her community for many years. She retired from the medical office of Dr. Nasar Ahmad MD as the office manager with many years of service. Surviving are: sons, John Phillips of Troy; Joseph Phillips of IL; grandchildren, John, Michael, Bethany, Francine Phillips; great grandchild, Tristin Phillips and sister, Cheryl (Ted) Persails of Flint. She was preceded in death by her husband: Francis S. Phillips; parents Joseph John and Amelia Schauff and brother Joseph B. Schauff. Tributes may be shared on the obituaries page of www.sharpfuneralhomes.com. To send flowers or a remembrance gift to the family of Ann Josephine Phillips, please visit our Tribute Store. "Email Address" would like to share the life celebration of Ann Josephine Phillips. Click on the "link" to go to share a favorite memory or leave a condolence message for the family.